Parent’s Night Out is Friday, February 22! We had so much fun last time – let’s do it again! 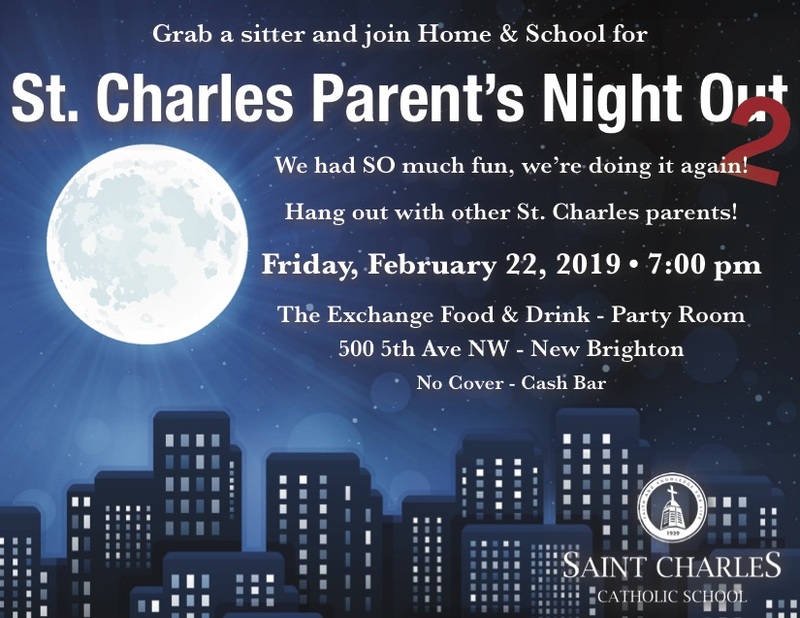 Mark your calendars and book your babysitter for Parent’s Night Out – Friday, February 22 – 7:00 PM until close at The Exchange Food and Drink in New Brighton (cash bar). We will be in the party room. Come eat, drink, and be merry! We want to mix it up in the future so bring your ideas for our next Parent’s Night Out!